The Lebanese are renowned for their many talents, and music is definitely one of them. With so many outstanding DJs in the country, we thought we’d shine a spotlight to highlight some of the best talents in the field by launching the DJs of Lebanon. It’s a way to thank them for providing the soundtrack to some of the best nights of our lives and keep the beats going and going and going. How did you begin your DJing career? Four years ago really when I decided to lock myself in the studio. Before I primarily promoted monthly nights in London for 6 years, and my promoting days began in Beirut initially when I paved the way for dance music in the late nineties and brought DJs and radio shows to the country. Who and what are the inspirations for your music? I’ve always been inspired by house and techno and everything in-between really. When it’s got a good groove and some chunk it ticks me every time. How would you define your genre of music? Where can we listen to you play? What was your favorite event or show you ever played and why? It’s hard to say as all of them are special in their own way. However I do have a special connection with Space Ibiza and Stereo Montreal where I play long sets. Last month at Stereo I played for nine hours! But all the festivals and club shows are great, whether it’s 40,000 people or 300 people the intensity is the same. Please tell us more about your latest album. The album is called Believe and it was released last month on Drumcode. It has topped the charts for a month now and there’s still a huge buzz around it. I’m very pleased with this release, it’s got all the music I feel from deep house all the way through to techno. I believe you’re currently based in London… Have you always lived there or why did you decide to move? I’ve always lived there really, since my university years. It’s my home and although I dip in and dip out then it’s still my base. What’s the difference between the clubbing scene in England and Lebanon? There’s a big difference. The sad thing about Lebanon is they only throw events instead of club shows; at least that’s what I remember…. it’s not really a regular DJ-led culture. Maybe things have changed now but I can’t really say, as I haven’t been out there recently. I hope they’re not still stuck on the trance vibe which is very cheesy. Don’t get me wrong we all grew up on trance – but it’s kids music and people move on after that. What’s the most difficult part about being a DJ? Breaking through. It’s a very competitive market but once you break through then it’s a snowball effect. What’s the best part of being a DJ? Playing out can be the most rewarding and intense feeling as you are connecting everyone with one sound all night – it’s very ritualistic in this sense. 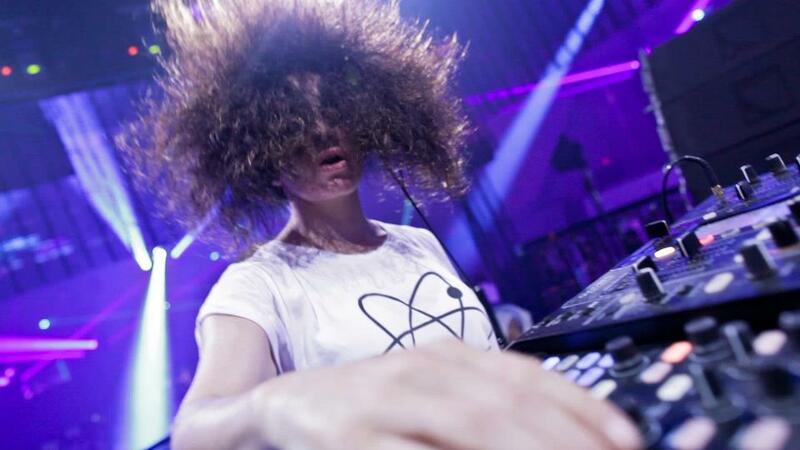 Have you ever had problems because you are a female DJ? Never, why ?? What kind of a question is that haha. Are there any advantages to being female in the business? It has nothing to do with gender because music has no gender. If it’s good it will be heard and played. Period. Do you have any other projects going on right now, other than DJing? I recently launched my label MOOD and I am just getting all my artists lined up, from new comers through to established acts as well. It’s a very exciting and creative process and I’m really enjoying it at the moment. I will also I will have label nights in the future. I’m also collaborating with Carl Cox on a track which is still a work in progress, so watch out for this scud missile in the making. Do you have some hobbies? Can you tell us more about those? I love the sea and the sun but unfortunately I don’t have enough time to bum on the beach anymore. So I’m looking forward to this Summer so I can do that properly in Ibiza. Water sports are also a big hobby of mine. Where can we follow your news and updates? Do you have a fan page? Newer Post Miley Cyrus: I’m Not the White Nicki Minaj!